Grab a bite to eat at the hotel's restaurant, which features a bar, or stay in and take advantage of the 24-hour room service. Breakfast is available for a fee. Enjoy a meal at the restaurant or snacks in the coffee shop/café. The hotel also offers 24-hour room service. A complimentary buffet breakfast is served daily from 7 AM to 10:30 AM. Make yourself at home in one of the 24 air-conditioned rooms featuring minibars and LCD televisions. Complimentary wireless Internet access keeps you connected, and satellite programming is available for your entertainment. Private bathrooms with bathtubs or showers feature complimentary toiletries and hair dryers. Conveniences include phones, as well as safes and desks. Satisfy your appetite for lunch or dinner at the hotel's restaurant, or stay in and take advantage of the 24-hour room service. Buffet breakfasts are available daily from 8:00 AM to 10:00 AM for a fee. 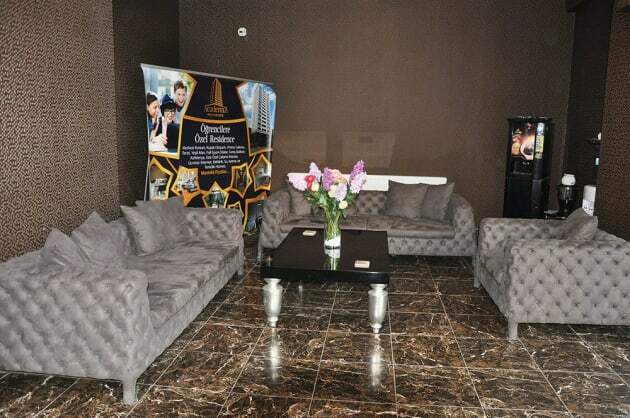 The hotel offers following facilities and services 24-h reception, WiFi, restaurant, bar, elevator and conference room. All rooms have air conditioning, TV, telephone, WiFi, bathroom with bathtub or shower, WC, hairdryer, mini bar, safety box and balcony or terrace. Address: Istiklal Caddesi No: 50–54, Beyoglu, 34435 Istanbul, Turkey.